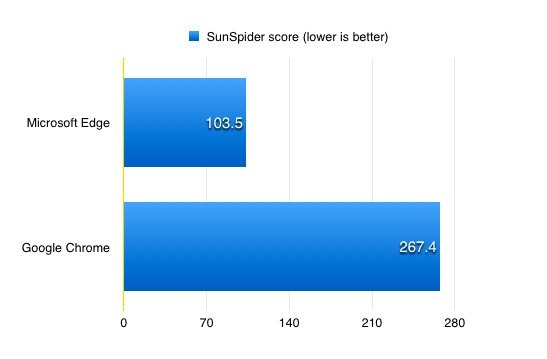 In the wake of the release of Windows 10 only the lazy do not write reviews and do not perform the test. 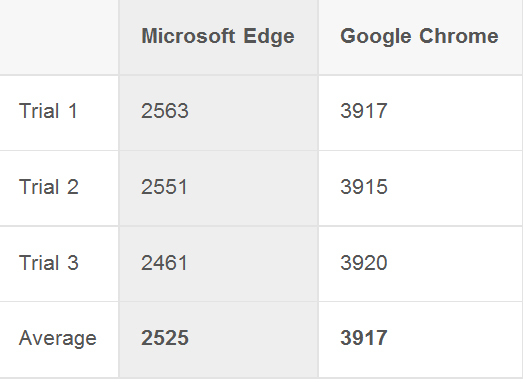 So the guys at Mashable decided to compare the speed and performance of the two browsers – New Edge from Microsoft and Google Chrome (Edge Vs Chrome Comparison). 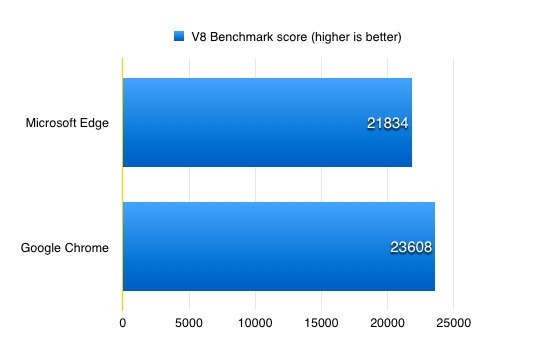 For tests used laptop HP Spectre x360 (Intel Core i5 2 GHz, 8 GB of RAM). 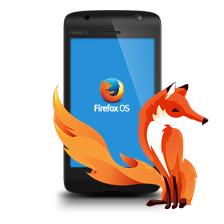 Both browsers, of course, were “pure”: a fresh installation, without any extensions, cache and other things that can slow down. All tests were repeated three times to make conclusions only afterwards. 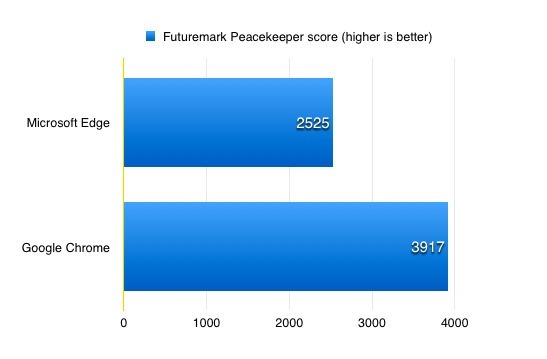 The authors test separately note that using Chrome version 44.0.2403.89m, with pre-installed Adobe Flash, which did not turn off during testing. After testing the software it is time to “field test”. Browsers have decided to look into the matter, that is the Internet. 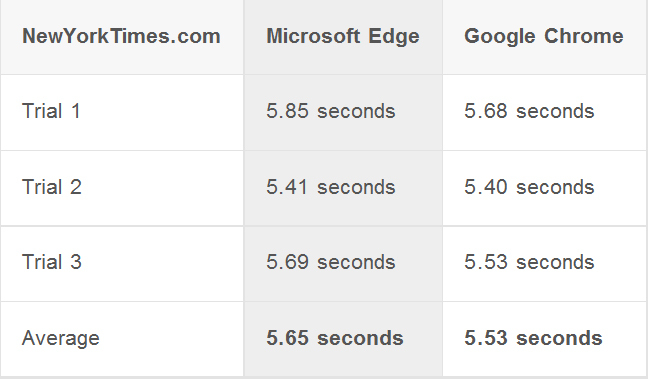 Every browser have been downloaded three sites: Mashable.com, NewYorkTimes.com and Facebook.com. 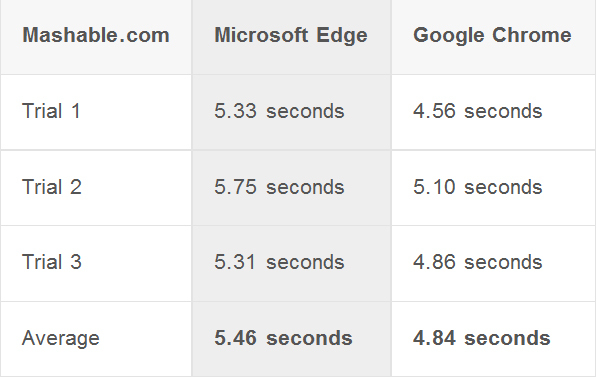 The conclusion is simple: Google is still faster than Edge, but only slightly, as can be seen on the last test. It is unlikely that users will notice this in real life. 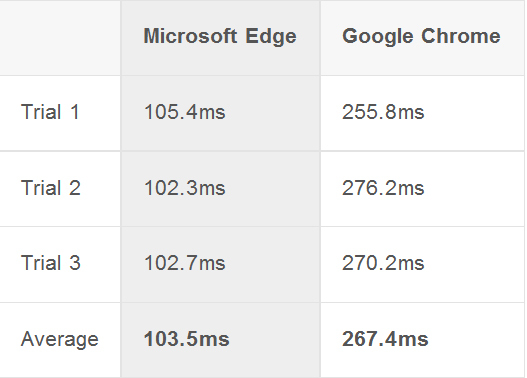 It is also worth considering that the tests used “pure» Chrome, if we add to the equation various extensions and cache, the picture will change, and Chrome slow. 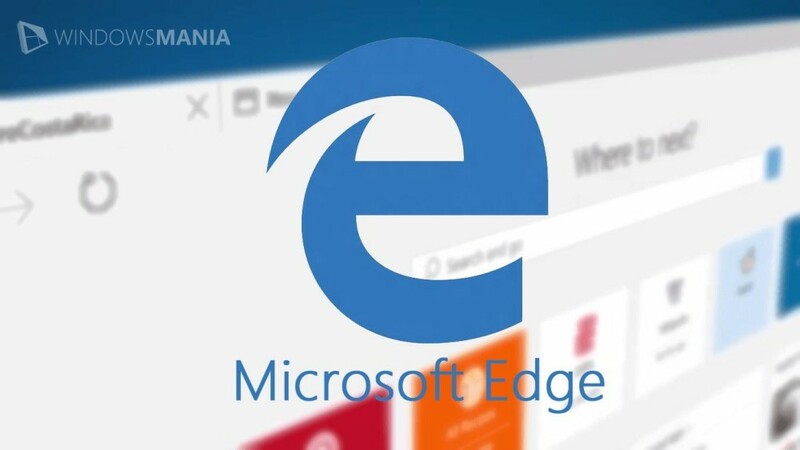 Edge, in turn, reveals himself as a very fast , a nice browser, which, moreover, does not have a “taste IE». 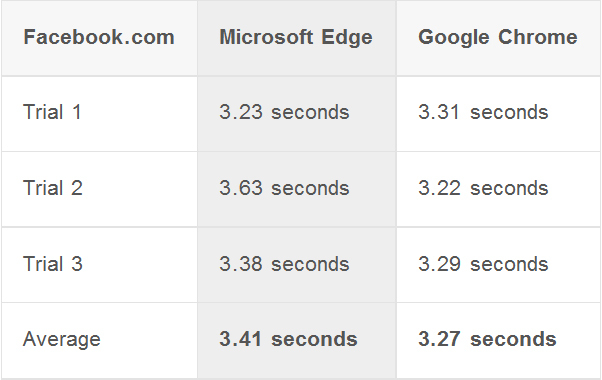 Of course, too soon for the Edge will variety of add-ons and extensions, which is also bound to affect its performance. 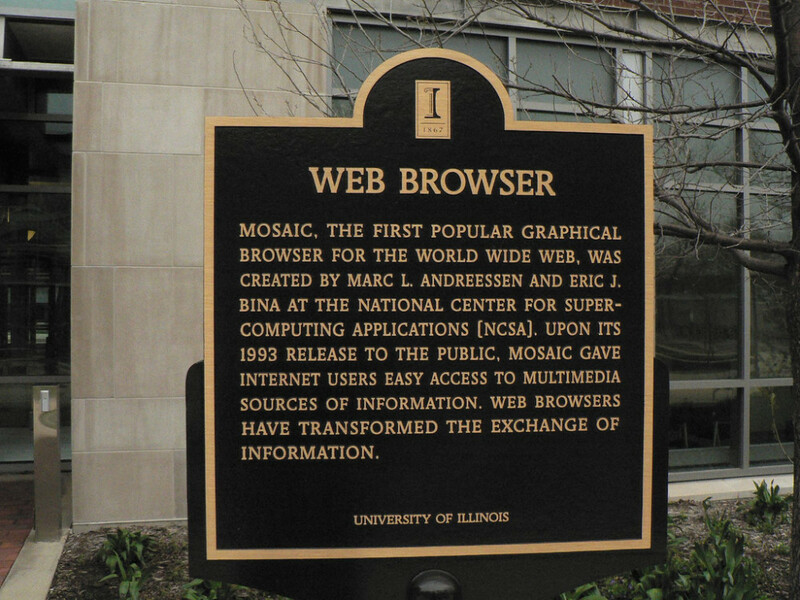 But in any case, it is not Internet Explorer. 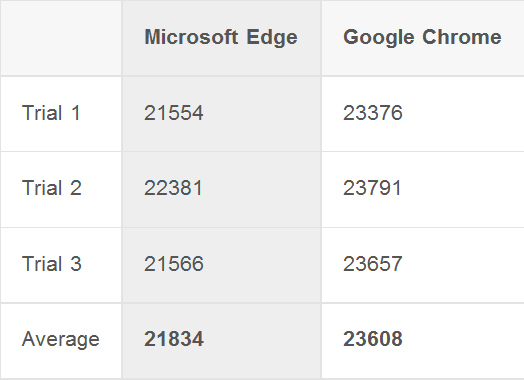 Mashable decided to compare the speed and performance of the two browsers - New Edge from Microsoft and Google Chrome (Edge Vs Chrome Comparison).